Blue passion | Cosa Mi Metto??? A color I'm loving lately..
Un colore che amo ultimamente..
Woooow! Dress is like a dream! Amo molto questo colore. Molto carino il vestito. Wow, very gorgeous lace dress, really impressed by the style and details of it, please do an outfit post of these soon. Btw, I just uploaded an exclusive preview of the LOUIS VUITTON S/S14 showroom visit I attended of Marc Jacob's final collection, check it out to see all the PROVOKING details of couture beadings and huge feather showgirl headdresses! Anche io adoro questo colore, l'abito è molto bello! 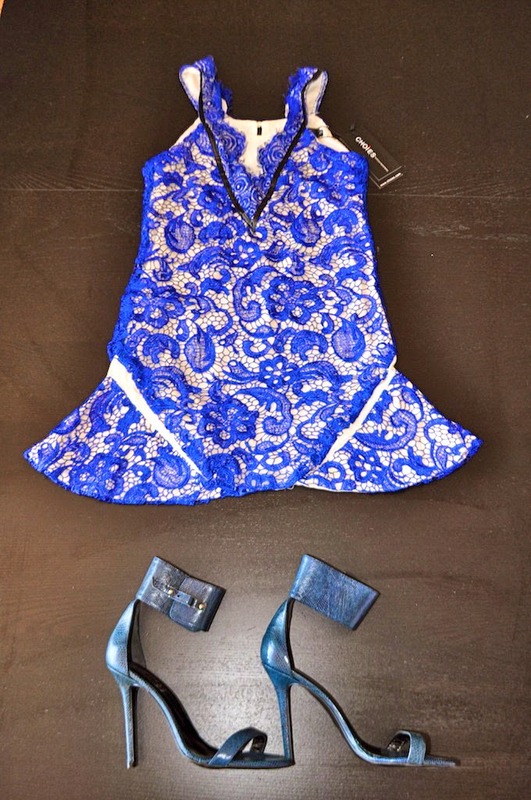 Adoro il blu e questo abito è meraviglioso! Il blu è il mio colore preferito e questo abito è stupendo! Ma è tutto fantastico: abito e sandali! Non vedo l'ora di vedertelo indosso anch'io! I love the lace dress. Bellissimo vestito,per non parlare delle scarpe! I've been seeing so many beautiful lace dresses lately. Love it! That is my favorite color, and I hope we get to see you in that dress soon! That is a gorgeous dress, and adoring the shoes. I can't wait to see you wearing it.